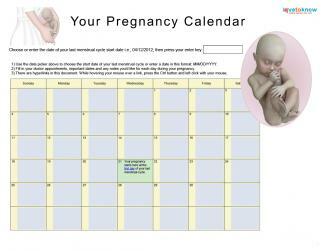 The tenth week of your pregnancy marks the last week that your little one is considered an embryo. By the end of this week, your baby will officially be called a fetus. Big changes are happening for your little one during this week. It may surprise you to learn how fast your baby is growing during week 10 of your pregnancy. Your baby now measures a little over an inch from crown to rump. He/she weighs almost 4 grams. According to the National Institute of Health, your baby's facial features are becoming more distinct this week. His eyelids are almost formed, and the external portion of the ear is taking on a curved shape. Every day, your baby's appearance continues to evolve. His hands, fingers, feet, and toes are now fully formed. Also, the external genitalia are beginning to appear. In addition to his developing appearance, your baby is becoming much more active. Your baby can move his arms and legs, "breathe" amniotic fluid, and urinate. However, it's still too early for you to feel your child's movements. Since morning sickness peaked last week, you may still be feeling very nauseated. Things are gradually going to improve from here, but in the meantime, try to drink plenty of fluids and keep a little bland food in your stomach. As always, if you have any concerns about your health or are experiencing bleeding or severe cramping, talk to your doctor or midwife. Many pregnant women also experience occasional headaches at this time in their pregnancies. This can be problematic, since aspirin and ibuprofen are not recommended for use during pregnancy. Many healthcare providers consider Tylenol safe to use on an occasional basis, but you should check with your doctor or midwife before taking any medications. In general, natural headache remedies are preferred. Resting in a dark room, practicing basic relaxation techniques, massaging peppermint oil into your temples, and snacking to maintain stable blood sugar levels can alleviate your headache symptoms. If you have a tension headache, you may want to apply an ice pack to the base of your neck. For a sinus headache, try using a warm compress around your eyes and nose. According to WebMD, some women also experience pregnancy migraines, which can be triggered by higher estrogen levels. If you find yourself getting very severe headaches, talk to your doctor. It may also help to make a note of any triggers that may have caused this debilitating kind of headache. A healthy diet continues to be very important for both you and your baby. 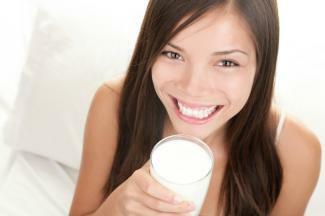 According to the Mayo Clinic, calcium intake in particular is extremely important during pregnancy. Calcium helps form your baby's bones, aids in proper heart function, and conducts nerve impulses. If you don't consume enough of this essential mineral, your baby may weaken your bones and teeth by taking what he/she needs from your body. This places you at an increased risk of developing osteoporosis later in life. It may surprise you to learn that an expectant mother needs at least 1,000 milligrams of calcium every day. You can get this amount by adding foods such as soymilk, nonfat yogurt, cottage cheese, and parmesan cheese to your diet. Even collard greens, chickpeas, broccoli, lentils, sweet potatoes, and tofu are good sources of calcium. If these choices don't sound appealing, consider adding calcium-fortified foods, such as orange juice, bread, cereal, and waffles, to your meal plan. Folic acid is also essential for your developing baby, so be sure to keep taking that prenatal vitamin. Next week your baby will officially become a fetus, a major milestone in his development. Keep taking great care of yourself so you can nurture your baby's growth while supporting your own health.